It’s like your favorite board game, but better! The long awaited fourth installment in a fan favorite series has finally arrived. Valkyria Chronicles 4 is a tactical role-playing game developed and published by Sega. And Sega has been on quite a roll this year releasing the games fans want. 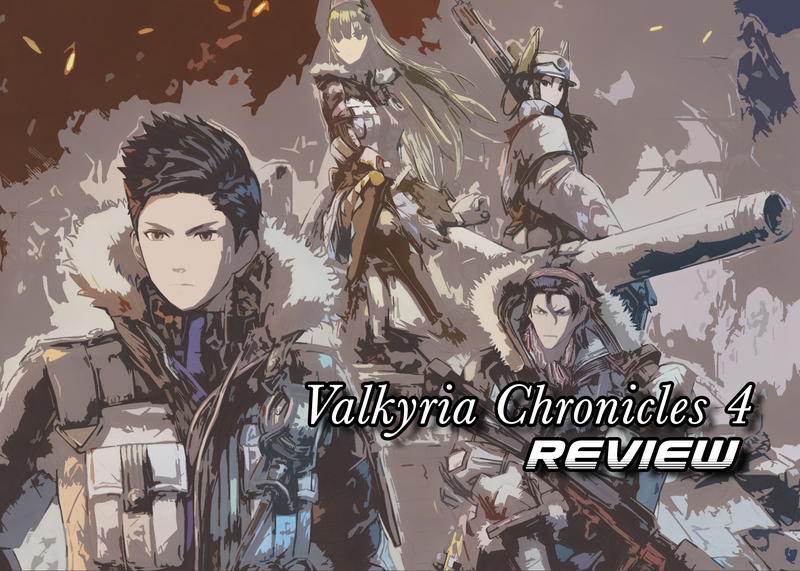 Released on September 2018 on PS4, Xbox One, Switch, and PC, Valkyria Chronicles 4 delivers on the promise of continuing a war story. It’s been a long time coming, so the question is does Valkyria Chronicles 4 meet the expectations of the people? Or has the ship of greatness it was long sailed? Cartoon graphics are no excuse for characters breaking. In fact, cartoon graphics should theoretically bring this issue to a major minimum. Regardless Valkyria Chronicles 4 suffers pretty often from this issue. The vibrancy of the playing field and landscaping quickly become muddied by mixing of terrains. In some areas the distinction between grass and dirt is beautiful in other areas it’s awful. Characters cut into environments so often that it wouldn’t be hard to believe that was an intentional thing. With all that said Valkyria Chronicles cartoon style is absolutely fun to look at. It’s hard not to enjoy the way the development team at Sega brings the 2D manga look to a 3D realm. It’s a constant battle between love and hate which more often falls in the love category. Unless you hate manga/anime. Although the presentation can be quite annoying, the story is worth the trouble. Valkyria Chronicles 4 continues the story of the Imperials vs the Federation in a war started over the ownership of Ragnite. On the surface it is a very basic premise. The thing that drives the story is the way it is told through the experiences of childhood friends, separated for various reasons, coming together as adults in the military. The intensity grows as the stories of what separated them as children continue to unfold. Each interaction between the four lead protagonist gives another insight into falling outs and reconciliations. These little moments make every painful bit of broken up cinematic worth while. Seriously, most of these cutscenes should have been bundled together way better. Once again, a rock solid audio performance. Every member of the cast present realistic tones that truly represent the emotions in the words. It is very easy to fall in love with the personalities of each character, to the point where watching them die in battle really hurts. The cell-shaded manga art style is coupled together excellently with the Saturday morning cartoon sound effects. Gunfire, explosions, footsteps, and motion all feel perfectly in place to feel threatening yet humorous. The only time the audio isn’t a good time is when the progression system shows what’s been unlocked or traversing the menus. These are probably the most annoying sounds of this console generation. Small criticism against what the rest of the audio delivers, but a criticism none the less. Tried and true mechanics of tactical RPG’s are hard to change, but in no way is that bad. Valkyria Chronicles does manage to do a few things differently from it’s predecessors however. The first major change comes in the ‘let’s up the challenge” style. This is the first installment that allows units, on both friendly and enemy, to attack when it’s not their turn. This mean positioning characters after an offensive and navigating the field are even more critical then ever. Simply put, if the unit is within range it will be attacked by other units out of turn. This brings the level of strategy necessary to an even higher level. The second major update is the addition of the new Grenadier class. The Grenadier can launch grenades significantly far and do a significant amount of damage at the same time. Fans of tactical RPG’s will find these new inclusions incredibly fun, challenging, and strategy altering for sure. However, the lack of an autosave feature is still a major downfall. Very few things exist as infuriating as completing an hour and a half long mission just to have to repeat it. Part user error, part design flaw, but completely annoying. There is something undeniably satisfying about playing games where the task is to outwit the enemy. This innate desire to be more intelligent than everyone else becomes even more apparent while navigating the battlefield. Valkyria Chronicles 4 does an excellent job of pacing the challenge, so every battle remains fun. Things get progressively harder, but Squad E gets equally better. By never forcing the player to feel unmatched in power, the focus remains on being more strategic. The humorous banter between characters and the graphic novel visuals further the entertainment. Seriously, how could anyone not hate to love Raz’s personality? Even with his frequent bone head decisions. The game that long time fans of the series patiently waited for has arrived. Valkyria Chronicles 4 delivers exactly what the fans wanted. Could it use a little more to make things a tad bit more exciting? Possibly, regardless the game delivers. It does everything right that Valkyria Revolution did wrong without losing the few things Revolution did well. Fans of strategic RPG’s can comfortably place this amazing game alongside XCOM and Fire Emblem. As well as past games in the series. Valkyria Chronicles 4 tells a great story with fun gameplay nestled beside it.